If you haven’t checked out TheAnalyst® PRO's Property Tour tool, you’re probably spending too much time on tours and letting clients slip away without making a decision. 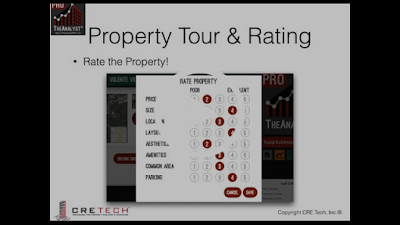 Our Property Tour & Rating Tool guides you and your client through each step of locating, reviewing and rating a property. Capture your client's feedback and promote instant decision making.